Robert Sutherland was born in Jamaica around 1830. It is probable that his father was a Scotsman, but who that man was, or what his status was, has so far not been established. It is assumed that his mother was a Black or Coloured Jamaican. He entered Queen’s University (or more correctly ‘Queen’s College’ at that date) in Kingston, Ontario, Canada, in 1849 after spending some time at Queen’s College School, a small high school in Kingston then affiliated with the college. There is no information on how or why he went to Canada, and to Queen’s, which had opened in 1842, having been granted a charter in 1841. At the time of Sutherland’s admission the College, founded to educate men for the ministry of the Presbyterian Church, was housed in somewhat cramped quarters in four houses on William Street. If his father was in fact a Scot, the college’s Presbyterian affiliation may have been the attraction. Sutherland was the first undergraduate of African ancestry to attend the institution. Sutherland was a popular student, and had an excellent academic record. He won 14 academic prizes during his three year course, one being a prize for Latin awarded by his fellow students. He graduated in 1852 with honours in classics and mathematics, one of only two students to win double honours that year. He was an active member of Queen’s first student society, a debating club called the Dialectic Society. He took part in ten debates, his side winning in seven of them. He chaired one debate, and supplied the topic for another – ‘Whether Philosophy or Poetry has done more towards civilization of the human race’. After graduation he studied law at Osgoode Hall in Toronto. He was called to the bar in 1855, the first man of African ancestry to become a barrister in Canada. He practised first in Berlin (now Kitchener) and then, for the rest of his life in Walkerton, which had several Black settlements nearby. He lived in a modest brick house, and worked chiefly on conveyancing, dealing with land title registrations, preparations of indentures, and wills. In 1869 the Ontario Gazeteer and Directory listed him among the 78 names of Walkerton’s “leading citizens”; he was a respected member of the community and served briefly as reeve of the town. In early 1878 Sutherland made a trip to Toronto, where he fell ill with pneumonia and died on June 2 in the Toronto General Hospital at the age of 48. He had drawn up his will three weeks before he died; having never married, and apparently having no close relatives, he left his entire estate, worth some $12,000, to the college. He was Queen’s first major benefactor. George Grant, the new principal, had just begun his first fundraising campaign and was overjoyed at this important contribution to the urgently needed boost to the college finances. 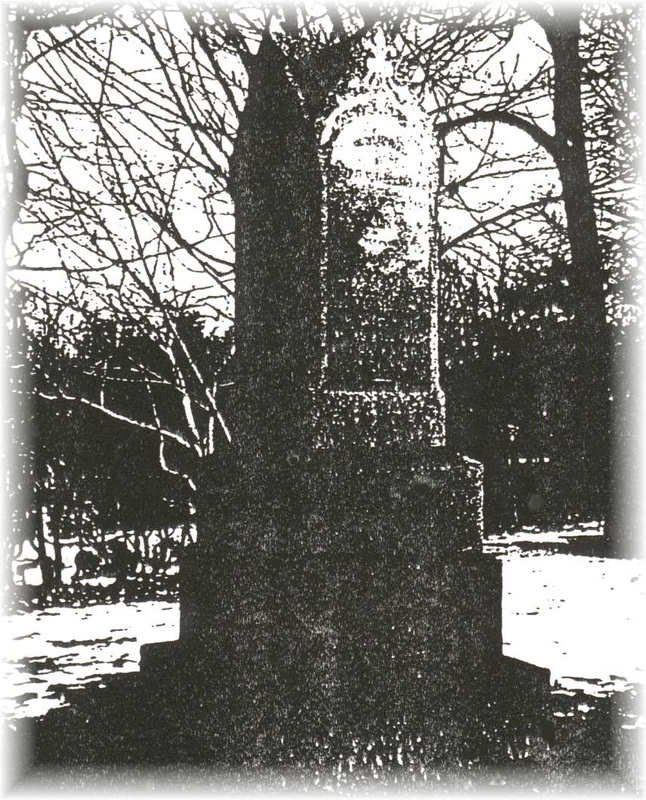 He ordered that a large granite tombstone (shown on this page, as no portrait of Robert Sutherland exists) be placed on Sutherland’s grave in Toronto’s Mount Pleasant Cemetery in recognition of his importance in the history of Queen’s. Grant later wrote that Sutherland frequently spoke of always being “treated as a gentleman” at the College. In 1973 the City of Kingston dedicated a plaque in Grant Hall in his memory, In the 1980s a group of students rediscovered Robert Sutherland, and worked hard to have his contribution to the university properly recognized. In 1996, the Robert Sutherland Task Force started a negotiation with the University and it was agreed to name a room in the John Deutsch University Centre in Sutherland's honour, which was dedicated in 1998. The Robert Sutherland Visitorship was established in 1997 to bring to the campus ‘a noted speaker each year with expertise in the areas of equity, community diversity and race relations…. There also exists the possibility that the speaker could deliver his/her keynote address in the Robert Sutherland space.’ A bursary and a prize are also awarded in memory of Robert Sutherland. Queen's Founder Rev. Dr. Thomas Liddell. Queen's University was established on 16 October 1841 by a royal charter issued by Queen Victoria. The document was granted after years of effort by the Presbyterians of Upper Canada to found a college for the education of ministers in the growing colony. Queen's was given a governing structure built around a Board of Trustees, a Principal, and a Senate. Classes began on 7 March 1842, when "Queen's College at Kingston" opened in a small wood-frame house on the edge of the city with two professors and 13 students. For its first 11 years the school had no home. It moved from house to house in Kingston, finally settling in Summerhill, a spacious limestone residence which still stands at the heart of the main campus. Financial support came at first from the Presbyterian Church in Scotland, the Canadian government, and private citizens. But this support was meagre and barely kept the college afloat. In 1867 and 1868 the college faced ruin when the government withdrew its funding and the commercial bank collapsed, a disaster which cost Queen's two-thirds of its endowment. Principal William Snodgrass and other dedicated officials narrowly rescued the college with a desperate fundraising campaign across Canada. Yet Queen's future remained insecure. As late as the mid-1880s there was talk within university circles that Queen's should leave Kingston and merge with the University of Toronto as the only means of avoiding financial failure. However, Queen's senior officials were determined to stay and build on the roots the college had put down and the progress it had begun to achieve in Kingston. It had added the Faculty of Medicine in 1854 and had taken over the Kingston observatory in 1861. In 1869, Queen's became the first university west of the Maritimes to admit women to classes. And by the mid-1870s enrolment had grown from 15 to more than 100 students. But it was not until the principalship of the Rev. George Munro Grant (1877-1902) that Queen's achieved a position as one of Canada's premier universities. The first of Queen's Canadian-born principals, Grant was an idealistic and forceful man, determined to build the college into a national institution. He was deeply religious and nationalistic and worked to produce graduates who would build the growing country in a spirit of dedicated service rather than material gain. Under his leadership, Queen's grew rapidly in size and prestige. By the end of his 25-year term the college had more than tripled its size, gained a measure of financial security, and charted a course towards greater academic diversity. In 1893 Queen's established the Ontario School of Mining and Agriculture, forerunner of today's Queen's Faculty of Applied Science. A graduate studies program was launched in 1889. And in the 1880s it pioneered correspondence education in North America. Principal Grant died in 1902 and was succeeded by the Rev Daniel Miner Gordon. No one could replace Grant entirely, but the college continued to grow under Gordon's direction. The most important development in Gordon's term came in 1912, when Queen's separated from the Presbyterian Church – a move which brought it more in touch with an increasingly secular age. It was then that the college officially changed its name to "Queen's University at Kingston." Gordon retired because of failing health in 1916, two years into World War I.